Published in Industry Updates on 05/11/2017 by Harry Lew, Chief Content Writer. Here’s some information to pass along to your insurance clients in order to keep them safe while investing. There’s been so much “fake news” in the media that it’s no surprise the trend has infected financial websites. According to the Securities and Exchange Commission (SEC), public companies, communications firms, and financial writers have been teaming up to publish so-called independent, unbiased stock analyses on investment websites. Problem is, the writers were paid to say bullish things about the stocks, while never disclosing this in their articles. As a result, the SEC has taken enforcement action against 27 firms and individuals, including public companies, marketing firms, and writers. Specifically, the government charged the entities with fraud for hyping stocks online while . . . Failing to disclose they’d been paid to do so, either directly or indirectly by the stock issuers. Writing multiple articles touting the same stocks under different pseudonyms. Claiming to be accountants, fund managers, or research analysts with advanced degrees when, in fact, they lacked such credentials. Engaging in stock scalping (touting a stock to drive up the price and then selling the stock at its high point to take profits). In all, the SEC filed fraud charges against three public companies and seven stock promotion or communications firms, as well as against two company CEOs, six individuals at the firms, and nine writers. Bottom line? 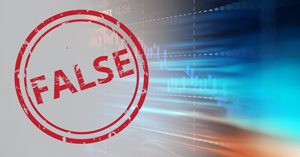 Given the prevalence of untrustworthy financial information out there, consider warning your clients about not believing everything they read, especially on niche investment websites. Instead, encourage them to consult with you before acting upon tips they find on the Internet (subject to you having a securities and/or investment advisory license).